Updated Feb. 8, 2016 at 3:08 p.m. If you approach smoking weed like it was gambling, a vape pen is the slot machine, the seemingly endless dispensing of dopamine at the press of a button. Flower is like a hot craps table, with everyone in it together until the run is over. And after 10 days in Mexico with only a vape pen to satiate me, I was desperate to smoke some good, old-fashioned flower with friends. Please, do not alert the Federales. As I had been traveling around Sayulita with a predominantly indica cartridge, I was craving sativa like it was tap water or flushable toilet paper by the time I landed back in Free America (Colorado). When I did my initial look at the Leafs by Snoop line, Tangerine Man stood out as a hit single, with all the hallmarks of what a good Tangie should be. “Thin nugs with equally skinny leaves stretching up the nugs are coated with trichomes,” I wrote at the time. Shockingly, that hasn’t changed. A couple months in a jar can be hell on a strain, sapping it of its life force like being encased in kryptonite, but the Tangerine Man held up. The citrus notes weren’t quite as bright, more akin to a car air freshener that is overdue for a change, but the black pepper and cane sugar became more pronounced. Compared to Leafs by Snoop’s lackluster Blueberry Dream, I was vacationing in Terp City, U.S.A.
Minutes later, the collective vibe had morphed from side-chatter to a conversational free-for-all, rife with laughter and stoney grins. If anything speaks to the power of Tangerine Man, it’s that I believe it actually made stories about our vacation interesting. Instead of bringing pure ADD energy to the table, it created a mood elevation that could be focused when necessary, but raucous at the drop of a pin-laden hat. It may not be the best for pain relief, but Snoop’s Tangerine Man should be considered a go-to for those with the winter blues. While the vivacity of the strain is notable, I enjoyed the shift of high later in the evening, as it became intensely creative. My goal on vacation was to disconnect, as I am one of those terrible modern phone junkies that is constantly checking for my slot machine-esque hit of dopamine. With my Nexus 6 in airplane mode, I shot an embarrassing number of photos. Pouring over them after a refresher hit of Tangerine Man, I started cutting them together with GoPro video in Adobe Premiere, experiencing tiny joys when music would sync up perfectly or discovering another clip I had forgotten. I can’t imagine anyone else enjoying it as much as I did, but my fiancee loved it. I’ve been down the path of Tangie quite a few times, but this was one of my favorites, as it evoked the experience of the strain so cleanly. No sativa-induced paranoia, but instead a summertime joyride in a Cadillac. 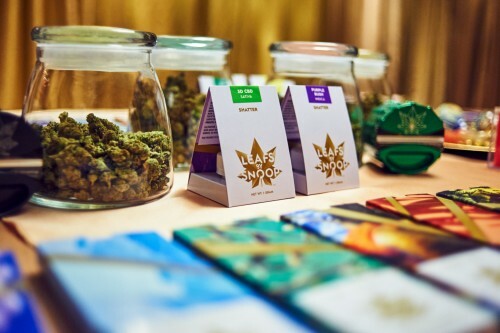 Kudos to Snoop (and LivWell Enlightened Health, which has licensed the Leafs by Snoop brand and grows/manufactures all of the products sold in Colorado): This is a strain truly worthy of his namesake.